Home | Careers Europe | Mondelēz International, Inc.Home | Careers Europe | Mondelēz International, Inc. Here at Mondelēz International we’re passionate about creating delicious moments of joy for people all around the world. Did you already know that? ‘Monde’ comes from the Latin word for ‘world’ and ‘delez’ is another way of saying ‘delicious’. So being delicious around the world is at the heart of our company – and our careers. the home of Cadbury, and we are looking for administrative and recruitment talent to join us! 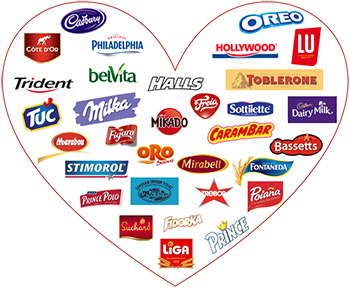 From Cadbury and Oreo to Trident and Philadelphia, we make many of the world’s best-loved brands. Whether it’s through mentors, special workshops or on-the-job learning, we’ll help you make the most of your talent. The rewards and benefits we offer reflect the contribution every employee makes to the success of Mondelēz International. Looking for a career that matches your ambitions? Our early career programs are the perfect place to start. They’ll give you every experience you could ask for, including live projects, exposure to industry experts and continuous development opportunities. Whether you’re learning new skills or networking across the business, you’ll put yourself in a great position to become one of our future leaders. Take on a real job with real responsibilities. If all goes well, you could be offered a graduate role. Turn yourself into a highly-skilled professional through on-the-job development and the support of an experienced mentor. Enjoy a full-time job while working towards a fully-funded degree. At the function's most celebrated annual awards ceremony, our team was shortlisted in 4 categories and collected the prize for Best Transformation! We're launching a new European shared service center and we're looking for exceptional administrative and recruitment professionals to join our team and fuel our future growth. This Christmas Cadbury is launching its biggest ever advent calendar. Hear from the marketing team behind the campaign as the doors begin to open across the UK & Ireland.